Same cup size. Different bank balance. When I changed my name I gave it a lot of thought but did very little research. It was 1985 and I had been divorced for 2 years and wanted a fresh start. Go back to my maiden name? No chance. That surname was synonymous with school and constantly being sent into the corridor or the headmistress’s office, as they were called back then. I decided to get it done by a solicitor and deed poll. If I remember correctly it cost about £25. Worth every penny. I had new stationery printed and so Helen Ducal was launched. There was no Facebook or twitter back then and my only research was done in dictionaries, encyclopedias and Roget’s Thesaurus. After all I didn’t want to choose the name of some vile criminal. I mean doesn’t everyone now shudder when confronted with the name Shipman, Hindley or Saville. Ducal is the same number of letters as Helen and so would, does, fit neatly on the spine of my books. So there I was lying in the bath ( where my best ideas often present themselves) and I thought, hmm, Ducal. Sounds a little harsh. I reluctantly clambered out of the bath and wrote down my new name for the first time. Then I tried a cedilla under the c. Are yes, sounds like Dusalle. Softer. I soon gave up on this when the good old Brits, unused to this squiggle under the c, started assuming my name was Dugal. Now as much as I loved the Magic Roundabout ( it was French after all) I didn’t want to be loosely related to a shaggy dog. The only answers I discovered in my library search was in the Roget’s Thesaurus. Ducal: To be born with a silver spoon in your mouth. Now, for someone who loathes the inequality and lack of self respect that the monarchy actively encourages ( subjects. Pah!) Ducal may seem like a strange choice. But this was 1985 and I was still in awe of Dallas, fast cars and matching shoes with handbags. So the idea that I might belong (pah again) to a Duke didn’t really resonate at the time. However, I am now very comfortable with my name and if someday I discover that I indeed have Ducal ancestry…What better place to destroy it than from the inside. By peaceful means, naturally. I only chop off the heads of mosquitoes. So Helen DUCAL it has been for nearly 30 years. Fine. In 2013 and the chance to Google everyone, change one letter and you have someone quite different. Both blonde and smile a lot but Helen DUVAL is Dutch and thirteen years younger. Blonde and smiles a lot. There was a time back in the early 80’s when I fancied myself as having ‘model’ qualities. That’s me, above. 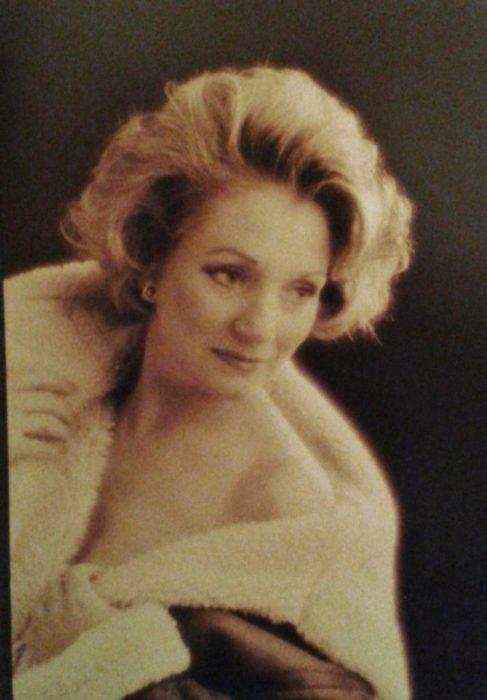 I even had some professional photos taken, mainly in attempt to hang on to a wayward husband. Bizarre, when I think about it now. Here you are darling. Look at these photos of me and what you will be missing. As apposed to…what…the real me? Shame I don’t have the same bank balance but I am working on it. I’m putting my fun into words. All my books are available on amazon. I didn’t have the confidence (except once, years ago in Paris) to put my fun into pictures. Hmm. A well known American photographer, of glamour models. Wonder if he still lives in the same arrondissment and how long would he keep his back catalogue? So you see, when you start to think about it. What’s in a name? DUCAL or DUVAL. We may have more in common than I thought.